YU Yunique Plus, which belongs to the affordable price segment and is a modest upgrade to its predecessor - YU Yunique. Both the handsets appear more or less identical on the specs sheet as well as on aesthetic grounds. The substantial difference between the two handsets is that the 1GB RAM used in the former iteration has been replaced by 2GB. And Sadly, YU Yunique Plus comes with a hike in price compared to YU Yunique. The handset flaunts a 4.7-inch (720x1280) IPS display layered with Corning Gorilla Glass 3 on top. YU Yunique is powered by a 1.2GHz Quad-core Snapdragon 410 processor paired with 2GB RAM, Adreno 306 GPU, and 8GB of Internal storage. It runs android 5.1.1 (Lollipop) out-of-the-box. 0n the photography front, it sports an 8 MP resolution (f/2.0 aperture) rear shooter and a 2 MP Selfie snapper. The handset supports dual SIM cards. YU Yunique Plus features Wi-Fi 802.11 b/g/n, Bluetooth v4.0, A-GPS, GLONASS, FM radio, 2000 mAh and microUSB 2.0 as connectivity options. 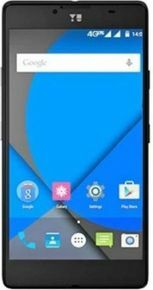 YU Yunique plus price in India is marked at 6,499 INR. internal 8gb but exactly use for available 2550 mb only mean 2.4 GB available it's too bed. and you can't to move some apps in memory card show error. lower type application smooth work. real inbuilt rom too low 2.4 GB not 8 GB.